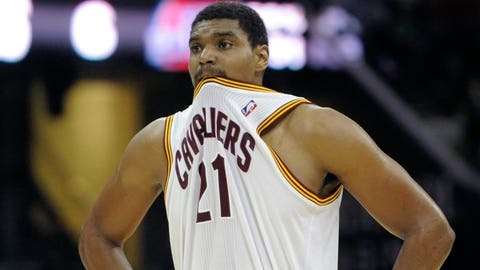 Andrew Bynum has likely played his last game as a member of the Cavs. The Cavaliers are at a bit of crossroads, and these things can go one of two ways. You already know the options. Following the early-season talk of a team meeting gone awry, the rumors surrounding Dion Waiters, and the sudden (and surprising) announcement that Andrew Bynum has been suspended, the drama never seems to end. Worse than that, of course, is the Cavs’ inconsistency on the court. Inconsistency is a killer. Inconsistency leads to finger pointing. Inconsistency typically results in little beyond a loss of jobs and the gutting of a team. 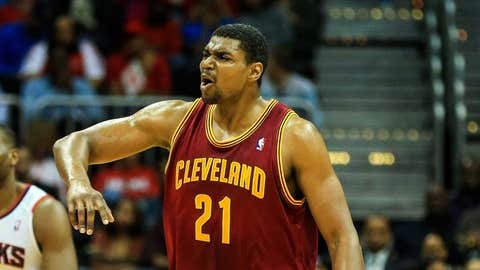 BYNUM DONE WITH CAVS FOR GOOD? The Cavs aren’t there yet. Sunday’s home game against the Golden State Warriors (6 p.m., FOX Sports Ohio) is the Cavs’ 30th of the season. That means there are 52 to go. That means we have yet to reach the point of no return. The 1984-85 Cavs won just seven of their first 30 games and still managed to finish 36-46 and make the playoffs. Thirty-six wins is doable for this group, and in the Eastern Conference this year, it could get you as high as the No. 6 seed. But a few things must be overcome. 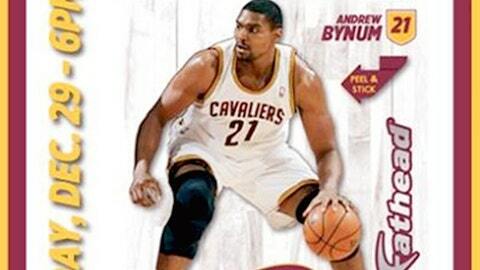 Bynum has likely played his last game as a member of the Cavs. That’s a bit of shocker to most of us. Most fans and reporters never anticipated the announcement of Bynum’s suspension Saturday. But those within the organization knew it was possible for quite some time — perhaps since the first week of the season. Give Cavs general manager Chris Grant credit on this one, though. The Cavs understood the risks associated with signing a 7-footer who missed all of last season with knee issues, irritating the Philadelphia 76ers along the way. Grant protected the organization with a contract that would cost nothing more than an NBA pittance in the event of a Bynum meltdown. That day has come. And the Cavs weren’t winning all that much with Bynum anyway. When they did win, he wasn’t exactly a major factor. Cutting ties with him, at this point, would be the logical choice. Despite what some players (including All-Star guard Kyrie Irving) are saying publicly, moving on from Bynum will be a large weight off the Cavs’ backs. Not that he’s a bad guy. He isn’t. It was just an experiment that didn’t work. Everyone knew that was a possibility going in. There are no losers here. A slight disappointment perhaps, but certainly not a reason to sound the sirens of panic. The Cavs (10-19) could actually be a better team without Bynum. In case you didn’t notice, the man can’t really move. Perhaps that will change someday, but questions remain about whether Bynum has the desire (or physical ability) to become anything more than what he is right now. Today, he really is just a backup center who’s capable of a few big games. But that’s not a role Bynum wants, and not one coach Mike Brown and the Cavs want for Bynum. For whatever reason, things didn’t pan out. That doesn’t mean it has to be somebody’s fault. There is still plenty right with the Cavs. Irving is finding his groove. Waiters has gotten into a rhythm. And you could do a lot worse than a starting frontcourt that now includes Anderson Varejao at center and Tristan Thompson at power forward. But the Cavs have to come closer to following Brown’s defensive principles. They have to adhere to his offensive philosophy of "keeping things simple" and not geting "too cute" with the ball. They have to be committed to cohesiveness and making the simple play. Forget who Brown had on the roster during previous coaching stints. The bottom line is he’s never fallen short of the second round of the playoffs. He deserves the players’ attention. He deserves more time before everyone who follows the team starts freaking out. Mostly, the Cavs have to find some resolve. They have to be the men Grant and the front office and coaching staff expected them to be. They don’t have to be best friends off the floor. They don’t even have to like each other. They just have to play with some pride. It’s happened before and it can again. They showed real guts in the fourth quarter of Saturday’s loss at Boston. They did the same in the second half of a defeat at Miami. They won five of six at one point — although anymore, that seems like it happened in 2002. Sunday’s opponent offers a great opportunity. The Warriors are pretty doggone good. They play with at least a hint of arrogance. Their guards, Stephon Curry and Klay Thompson, are known as the "Splash Brothers." They rain down jumpers from deep on the perimeter. Some say Curry is a better guard than Irving, and you just know Curry believes it, too. A win over the Warriors would be something really solid on which to build. It could show the players that, hey, we care about this thing. We DO have a strong sense of dignity; we CAN forget about everything else and just pull together. The Cavs don’t need Andrew Bynum. But they do need each other. Now is their chance to show the doubting basketball world that, actually, each other is all they really need.